Shop for medical grade orthotics - Made in the USA! KLM Labs is a proud supplier of the United States Military! Orthotics that contour your feet perfectly! Learn about common ailments and how orthotic therapy can help! Easily reorder from your Member Account! KLM's Foot Soldier Technology describes the "average custom foot orthotic by shoe size." Across four and a half decades of production, KLM has manufactured hundreds of thousands of custom foot orthotics. When KLM applied 3D digital scanning technology to manufacturing orthotics in the 1990's, the research showed that the vast majority of successful custom foot orthotics had extremely similar shapes. 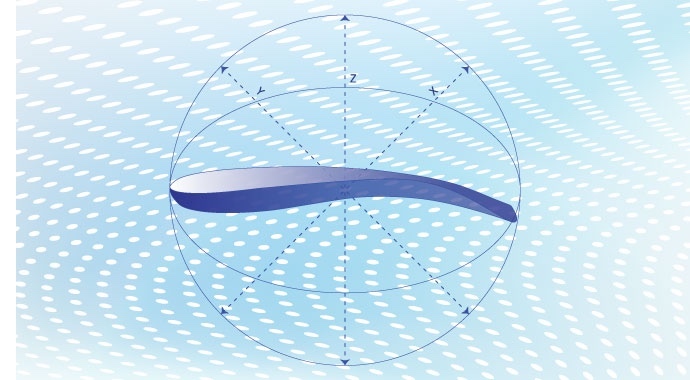 KLM captured this shape: "the average custom foot orthotic," and scaled it by shoe size. These Foot Soldier Shells, are equivalent in function to custom foot orthotics and are injection molded right here in the United States. They are available in three rigidities from Men's 4 / Women's 6 - Men's 16 / Women's 18, making them effective for individuals of many different sizes. Foot Soldier Insoles make any pair of shoes your favorite pair of shoes! 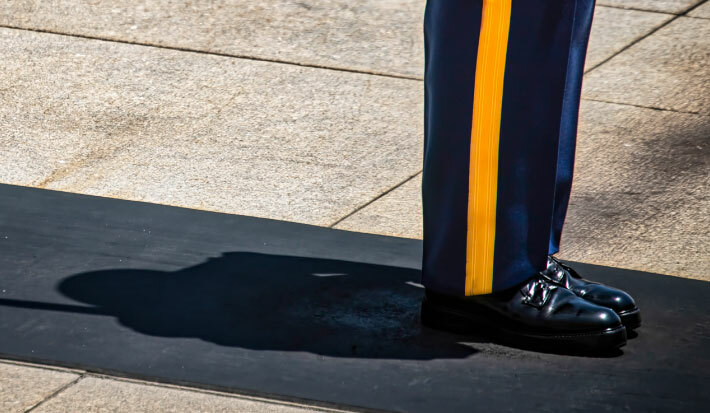 KLM Labs supplies VA Hospitals throughout the United States with Foot Soldier Shells and Insoles. Get yours today and free yourself from foot fatigue! KLM's patented System Rx Technology provides a virtually custom fit orthotic for less than half the price. After seeing success with Foot Soldier products, KLM expanded its inventory of orthotic injection molds, making 99 more shapes and sizes with varying lengths, widths, and arch heights. Do you have exceptionally narrow or wide feet? Maybe you have especially high arches. That's why KLM designed System Rx! Simply watch the instructional video, print the sizing chart and submit your foot's unique dimensions through the simple online order form. The experienced team at KLM Labs will review your specifications and send you quality orthotics that fit like a glove. The System Rx shells have their dimensions engraved on the bottom, so when you need a replacement or want a second pair for your other shoes, you can order by shell dimensions and know you will be getting the correct size. Available in four rigidities so you can receive the amount of support you require! Ailments of the feet are common amongst people of the modern world. Many of us grow up wearing shoes designed to be fashionable, not functional. Imagine stiletto high heels and even skate shoes. These types of footwear are not ideal for the skeletal and muscular structures of the feet. Walking and working in shoes without functional support, combined with the nature of aging and injury leads to many common complaints such as plantar fasciitis, bunions, heel spurs and calluses. Learn more about these common ailments and how orthotic therapy can help. Why subject yourself to surgery when it's possible to relieve your symptoms with a less invasive and less expensive treatment? As many of your family, friends and coworkers may already know: Medical Grade Arch Supports improve patients lives every day! At KLM Labs we specialize in developing cutting-edge technology to create the best orthotics for plantar fasciitis and other types of foot and heel pain that result from overuse or incorrect shoe wear. Our supportive sports orthotics are ideal for working people, athletes, diabetics, veterans, children and anyone seeking to enhance their foot support for any sort of daily activity. With decades of research and constant innovation, KLM has distilled the essence of custom orthotics into affordable over-the-counter devices available directly to you, right here online. Browse through our vast selection of orthotics to find molded inserts, insoles, braces and more! 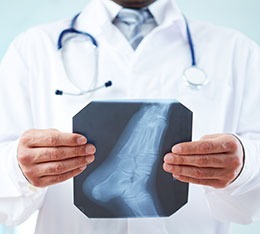 KLM's over-the-counter orthotics and insoles are used by medical professionals worldwide. There's more than one good reason for this. Functional orthotic therapy changes lives! Are you often distracted by foot pain? Are you unable to focus at work because your feet hurt? Do you dread getting out of bed in the morning? Stop living under the oppression of foot pain! Support the arches of your feet with an orthotic that has proven to work for thousands of people just like you. Don't be fooled by the "gel" insoles available at your local drug store. These flimsy, cushiony insoles are designed to be extremely comfortable, but create an unstable base for the foot. 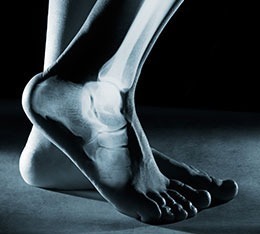 Walking on an unstable structure leads to foot fatigue and deformity. That is why prescription orthotics are often rigid. Imagine if the ground was soft like a cotton ball. Think of how hard your feet and ankles would have to work constantly to keep you stable and supported. Get yourself some medical grade arch support with functional orthotics manufactured by KLM Labs! Founded in 1973 by Dr. Howard Marshall DPM, KLM Laboratories, Inc. is one of the leading custom orthotic labs in the United States. We are well known amongst foot care providers internationally for producing tailored orthotic inserts and ankle orthotics. Our reputation precedes its products and we are proud to offer you revolutionary foot inserts and insoles to finally provide you with lasting pain relief at affordable prices.